English is spoken by many local businesspeople and normal courtesies are observed. Appointments and business cards are used. In order to conduct business in Lebanon, you need to fulfil your social obligations by being hospitable and generous to your guest or host, no matter how much money is at stake. Appearance is paramount, so professional dress and meetings conducted in upmarket surroundings such as offices and restaurants are key. Mon-Fri 0800-1330 and 1500-1800. Government office hours:Mon-Thurs 0800-1400, Fri 0800-1100, Sat 0800-1300. Beirut's position as a major financial and commercial centre for the Middle East was lost during the 16-year civil war that ended in 1990. Since then, despite more political unrest, both Lebanon and its capital have re-established themselves. Agriculture now accounts for about 10% of GDP. There are no significant mineral resources, but the manufacturing industry is growing rapidly. Banking and transit trade (both of which were almost wiped out during the civil war) have also recovered. The 2006 conflict between Hezbollah and Israel led to a collapse of the tourist industry and severely affected Lebanon's economy, which contracted by 5%. The national debt reached a record level of US$40.4 billion and a fifth of the population was unemployed. 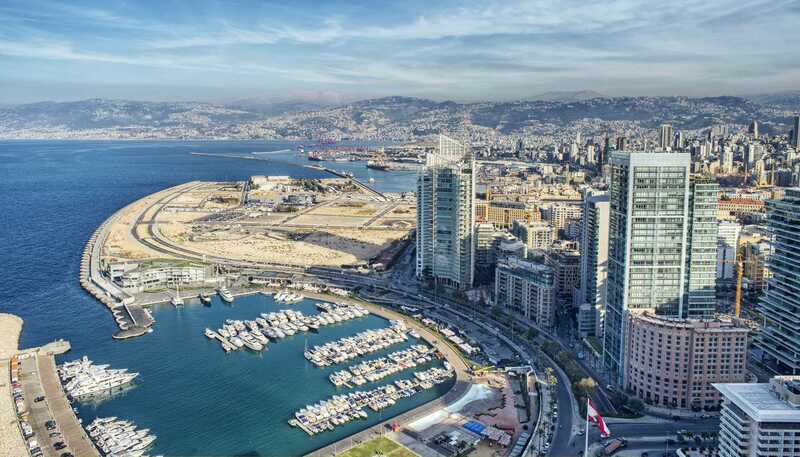 Latest economic forecasts for the country are more optimistic; due to its tightly controlled banking system, Lebanon was affected to a lesser extent that most countries by the financial crisis of 2008-2010. Authentic jewellery, inorganic chemicals, consumer goods, fruit and tobacco. Petroleum products, cars, medicinal products, clothing, meat and live animals. Telephone booths are accessible for local and international calls. Payphone cards are available from post offices and kiosks. Roaming agreements exist with most international mobile phone companies and there is coverage througout the country. Cellular phones are widely used and are available for hire to visitors. There are internet cafes in Beirut, Tripoli and most major towns. Lebanon's broadcasting scene is well developed and is generally representative of the country's diverse population. Lebanon was the first Arab country to permit private radio and television stations, but this is subject to government controls. Several stations are owned by leading politicians. Post to Europe and the USA usually takes from one to two weeks. Opening hours vary. Check www.libanpost.com.lb for individual branch opening times. One of the oldest cities in the world, Beirut is an intoxicating mix of East and West.